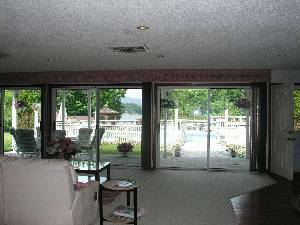 Elegant Lake George Home/Estate with room for up to 30 guests. Beautiful sunset views and lakeside tranquility on this property with Lake George Village and its resort vacation attractions (including Great Escape) only a 12-minute car ride away. There is NO DIRECT LAKE ACCESS on this property (though you can view beautiful sunsets and see the lake below from the pool deck and bar area). Beach and Lake George Village only 10 minute drive. 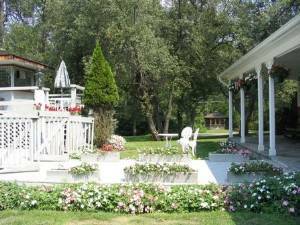 Two original barns on premises, 3 BR cottage, 16 x 32’ pool with diving board, large deck, two gazebos, pond, outdoor bar/deck area, and full-size clay tennis court. Gorgeous lake view (no direct lake access on property itself). However, rental of boats and docks available only a 3-4 minute drive away. 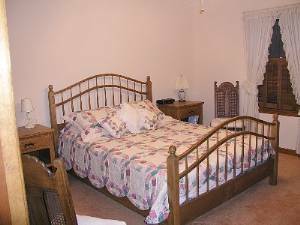 This property can accomodate from 1 to 30 guests where up to 18 guests can sleep in beds and 12 additional guests can sleep on full or queen-sized sofa beds or futons). Full or partial rental available from May through October. This unique property was first developed in 1845 as the home and farm of Mr. Walter Gunn, the owner of the entire Cleverdale peninsula. Around 1919, it was sold to Dr. Fred Fielding, a physician and gentleman farmer, who ran a dairy farm and an apple orchard on the property. 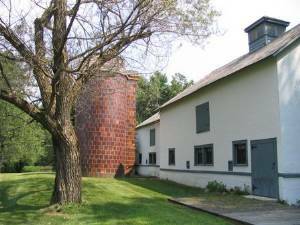 The barns have been carefully restored and received the Chapman Historic Museum's Historic Preservation Award in 1998. Image GalleryReviewsMore images available. Click any image to view the gallery. Please Say: "I saw your listing on Find Vacation ...com." 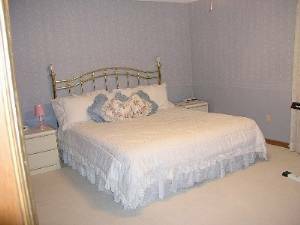 Bedding Information: Kings, Queens, Twins, Futons, Sofabed. Rates shown are in US Dollars (US). The main house's bluestone porch leads to the pool and decks outside -for a truly elegant and restful vacation spot. 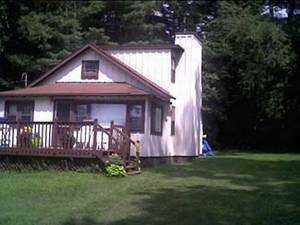 This is the newly-renovated cottage that has 3 bedrooms, one bath, a large gas fireplace, and sleeps 8 (with 2 on the LR futon). 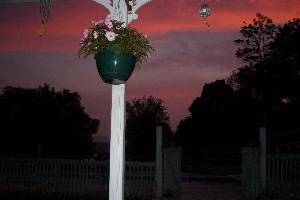 June, 2005 - one of the beautiful sunsets as seen from the main house porch! Main Ranch House is $1,000 per night and Cottage is $500 per night. 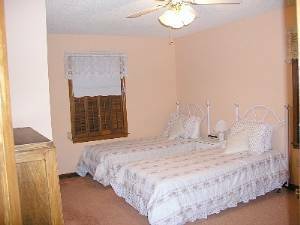 There is a $3,000 security deposit required as well since this is a large property with pool and tennis court included. Deposit: Security Deposit of $3,000 required. Cleaning Service will be paid directly by renters if they do not wish to clean the property themselves (leaving it in "move-in" condition for the next renters). Other Fees: Security Deposit required of $3,000; Cleaning fees to be paid directly to private cleaning service if renters do not wish to clean the property themselves (and leave in move-in condition).